Get behind the wheel of your dream vehicle during the Jeep Freedom Days Sales Event! 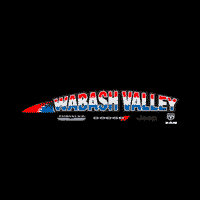 Hurry down to Wabash Valley Jeep for impressive deals. Save an average of $6,485 when purchasing the all-new 2019 Jeep Cherokee Latitude Plus! You won’t find offers like this anywhere else. Wabash Valley Jeep is your superior dealer. Serving Marion, Indiana.